This op-ed appeared in the Hill Times on January 16, 2019. In December 2018, The University of Guelph and Dalhousie University released the 9th edition of Canada’s Food Price Report and while the report paints a generally rosy picture of 2019 food prices, partly due to decreasing meat prices and small increases across most food categories, a sobering statistic from the report was that overall food prices are expected to increase by 1.5- 3.5% with the average Canadian family expected to have a total yearly food bill of $12,157. The highest predicted increase is expected in the fruit and vegetable category with an increase of between 4-6% and while much of that increase is attributed to costs expected from adverse weather events and shipping delays and the growing trend of vegetarian based diets among consumers, one culprit stands out as a reason for increased vegetable prices: cannabis. Cannabis is a plant not suited to growing in the Canadian environment. It prefers warm and humid growing conditions and therefore best suited to indoor cultivation in our country. And what does Canada have for the production of plants that need warm environments? Greenhouses. According to Statistics Canada, Canada has approximately 4000 acres of greenhouses, employing over 11,000 Canadians currently growing a variety of vegetables particularly tomatoes, peppers and cucumbers. Leading up to the 17th October deadline for cannabis legalization, the incentive for greenhouse operators to change their production from vegetables to cannabis has been overwhelming with some reports suggesting that operators can receive 30-40 times as much money per acre for cannabis than they currently receive for vegetables. All the while, operators are experiencing squeezed margins from food wholesalers, processors and retailers, so it’s no wonder that greenhouse operators are thinking twice about what they should be growing in the future. Greenhouse operators and cannabis processors have also seen the major shortages of products in the various provincial cannabis stores and are viewing the cannabis “boom” as a bandwagon to jump on. Now, while much of Canada’s greenhouse production is exported to the USA, will we see higher prices for tomatoes, peppers and cucumbers at the grocery store as we go into the cold winter season because weed is a better cash crop? The pressures to change greenhouse production to cannabis may become even greater in 2019 when edible cannabis products are legalized, and food processors will need even more cannabis in order to provide products to consumers. But greenhouses operators are not fully to blame. As consumers we hold some responsibility. We cry out for “more affordable” (i.e cheaper) food and due to pressures in the food supply chain that make the profitability of food less and less, it is no wonder that greenhouse operators are looking for alternative crops to help soothe their bottom lines. 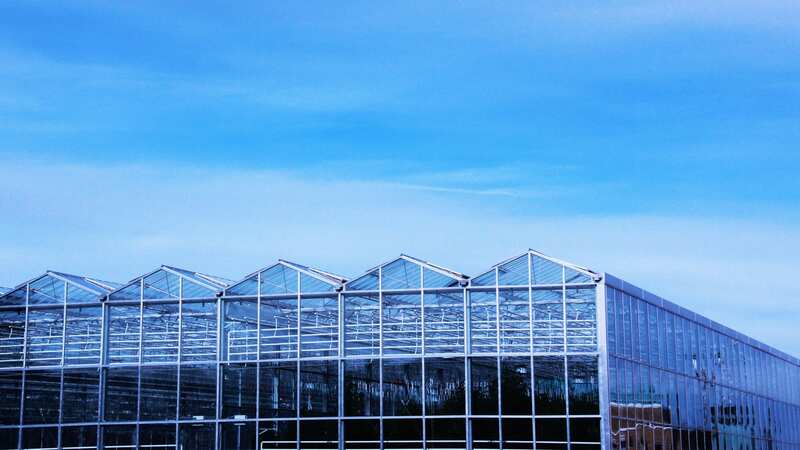 Compounding this issue is the fact that greenhouse set up costs can be almost $1 million per acres, and capital for construction is not a certain game, with the higher cannabis prices appeasing the financiers. Currently, the federal government is moving forward with a Food Policy for Canada and hopefully the impact of cannabis legalization on food production is recognised. Various provincial and municipal governments have regulations on land use, particularly for industrial and agricultural land and regulations should be amended saving agricultural land for food vs cannabis production. One example is a moratorium on the use of agricultural land to grow cannabis. Furthermore, cannabis production and processing create significant odour issues for surrounding communities and it is clear that by-law and land use regulations need to be changed or made uniform across provinces to mitigate the impact of odour. It is understandable that cannabis producers and processors have a fiduciary responsibility to their shareholders to deliver the highest revenues possible. However, at a time when 1 in 8 Canadian households are food insecure and all of us are concerned with putting healthy, nutritious food on our family’s plates and with rising food costs around the corner, the impact that the legalization of cannabis is having on our food system and communities should be troubling to us all.